After weighing the pros & cons of portable and standby options, you’ve selected the ideal generator unit for your household or business needs. Now you just need to set it up and wait for your first storm, right? Not so fast. There’s a little more to it than plugging in and waiting for the inaugural power outage. The necessary steps for professional generator installation are broken down here by NY Electric Company. 1) Why Call an Expert? Customers often try to tackle generator installation on their own. However, small intricacies could make all the difference between a working generator and a frustrating first storm experience. Not only that, the safety of you and your local utility workers is dependent on a safe and efficient installation. Something to not take lightly is improper install, because it could be incredibly dangerous. 2) Do You Know Your Essential Circuits? Homeowners want to make sure that the necessities are being supplied power by a generator. Our factory-trained generator experts and electricians will identify, install and rewire the appropriate electrical circuits. This will ensure that your vital circuits are up and running. When you have medical devices that need to function, this is particularly important. That way when you do experience a power failure, all you need to do is plug your generator into a safe and pre-established location, hit the transfer switch and go. 3) How Can NY Electric Company Help? You hope to never need a standby generator, but emergency situations do arise. Without the time to purchase a last minute generator or not knowing the first thing about proper usage, your family or business could be headed for devastating effects of a storm. You can plan ahead, and contact the professional team at New York Electric Company. We are ready and capable of handling all of your generator needs. 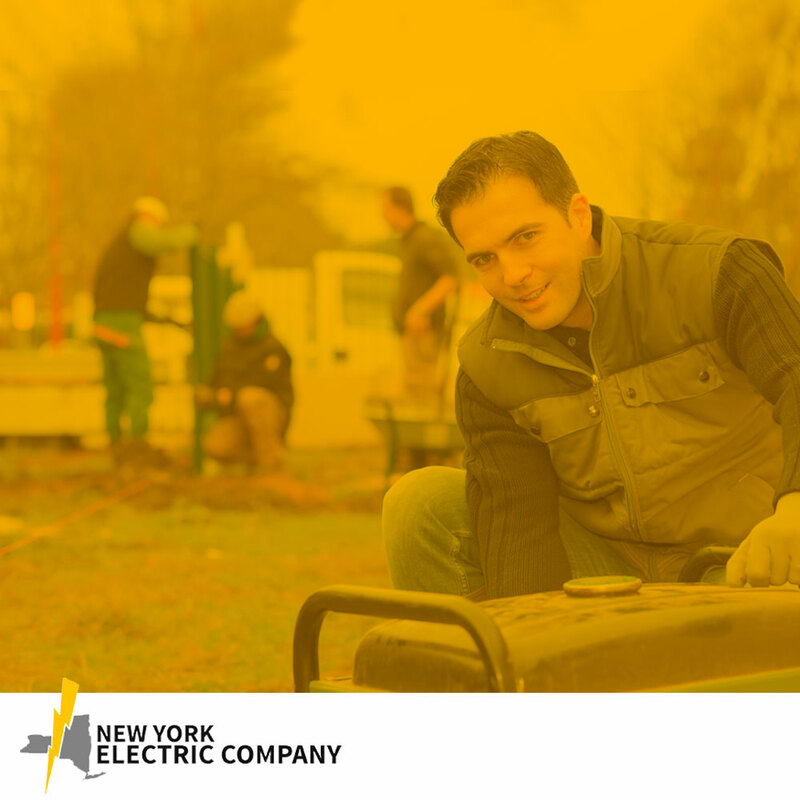 From selection, to installation and maintenance, New York Electric Company has you covered.